Almay is a HIGHLY underrated brand in my opinion. Their foundations and eyeliners have rated highly in my top make-up picks for years. So I was THRILLED when they recently came out with a bunch of new releases. Included in these were the Palette Pops and Shadow Squad eyeshadow palettes. Read on to find out what I think. Aaargh. These make my beauty heart melt just from looking at them. The Palette Pops (R349.95) come in two selections, Naturalista (neutral, wearable shades) and Fabulista (dramatic yet wearable shades). I opted for Naturalista because, while I adore and covet make-up, my application of bolder shades doesn’t fare so well. Naturalista is one of those ‘perfect palettes’ that includes everything you need to create a multitude of looks. There are smokey darker shades for nighttime looks and there are muted shades for daytime or work appropriate looks. The addition of the bronze shimmer, chocolate matte and black matte means you can take your nighttime look to a full on glamazon face should the night call for it. All packed into one palette! Apologies for the slightly blue tinge.. it was the filter that featured the eyeshadows “true to tone” most accurately. It truly is the “pop into your handbag when you have a day and night with four festive events happening in a row” palette. Shew, that was a mouthful. But you get the idea. Also, I know this is a cool toned palette.. but I kind of feel like this has a dash of warm to it too. Something for everyone-esque. Am I crazy? As far as wearability goes, they have a pretty good staying power. I would rate any drugstore eyeshadow lasting longer than a work day (8 hours) without setting spray is a winner. And yes, these last very nicely. 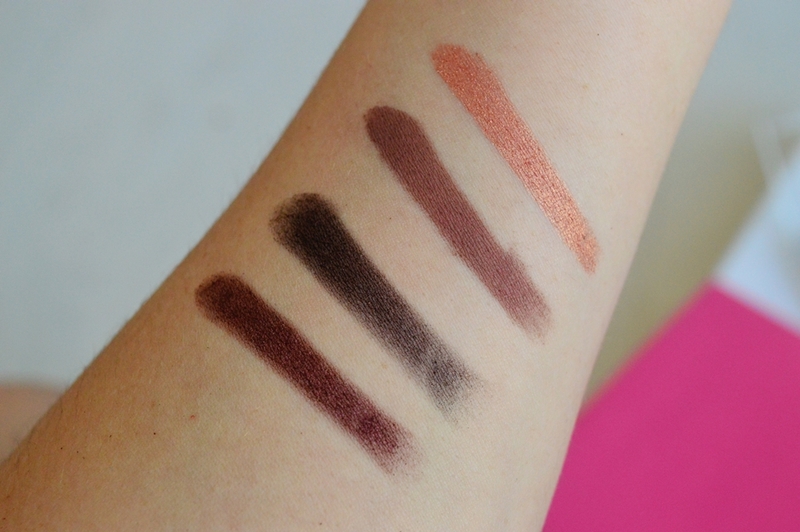 The deeper shades had a slight fall out when I first swatched them but once you are through the first layer the fall out disappears. Ahhh these shades actually make me catch my breathe. It is my PERFECT combination of eyeshadow shades! My favourite shade of all is this peachy bronze at the top. Gorgeous! 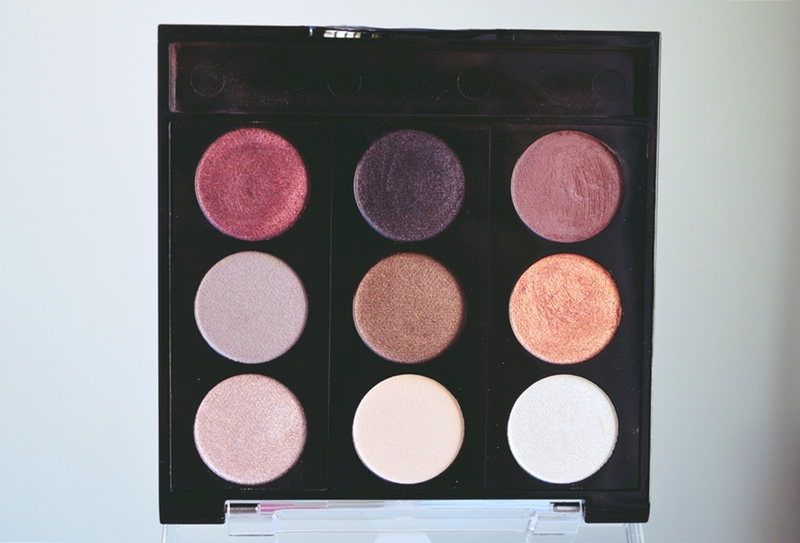 Next up are the gorgeous Shadow Squad (R149.95) palettes. They are available in a huge array (ten to be precise) and I chose the two in the image below. A friend of mine has two palettes which are more daring and take it from me, they are STUNNERS. I will probably be purchasing another one or even two of the Shadow Squad palettes. The unique selling point of these is something I have never seen another brand pull off. One quad palette, one shade, featuring that shade in four effects; matte, satin, metallic and glitter. This bronze quad featured below has been my go-to for my work make-up pretty much daily since I opened it. It is just too easy to create a simple yet popping look. Matte shadow, bam. Satin shadow in the crease, bam. A touch of shimmer on the lid, bam. 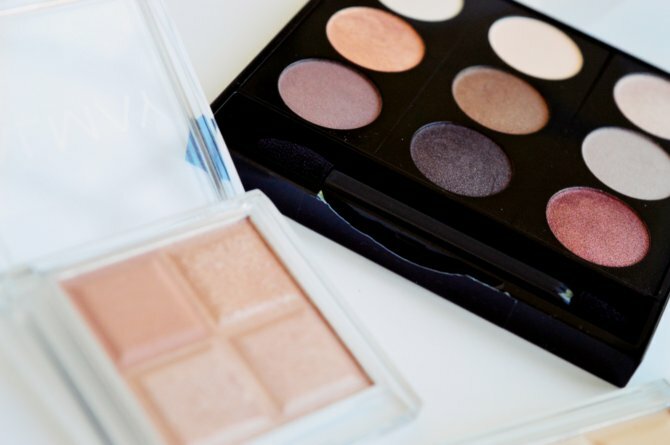 All in one palette and no fumbling around looking for matching shades on your vanity. Overall I would recommend a little festive season splurge (splurge being the incorrect words as they are VERY affordable) on either of the palette options. 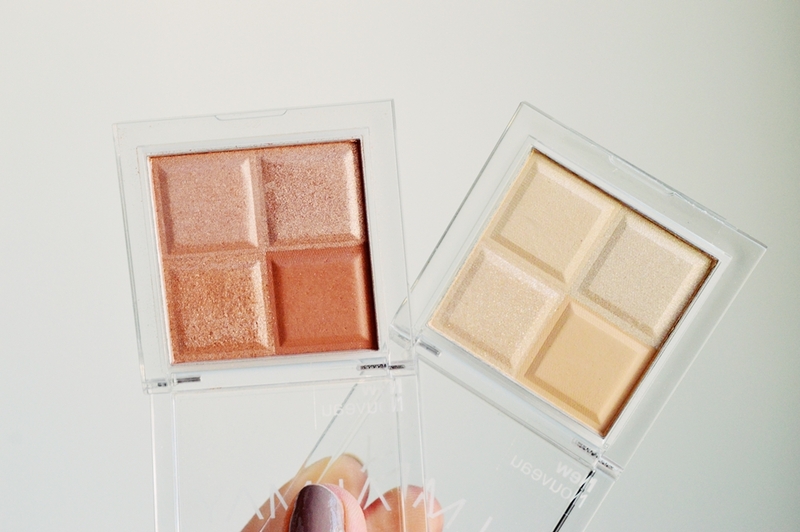 Wearability, quality and long-lasting-ness is pretty much identical with both palettes. As well as this, they are both travel friendly. The Shadow Squad palettes are nice and compact and the Palette Pops are very sleek and slim. Either way, let me know in the comments below if you pick any of these up! I’ve never tried anything from Almay…no idea why. 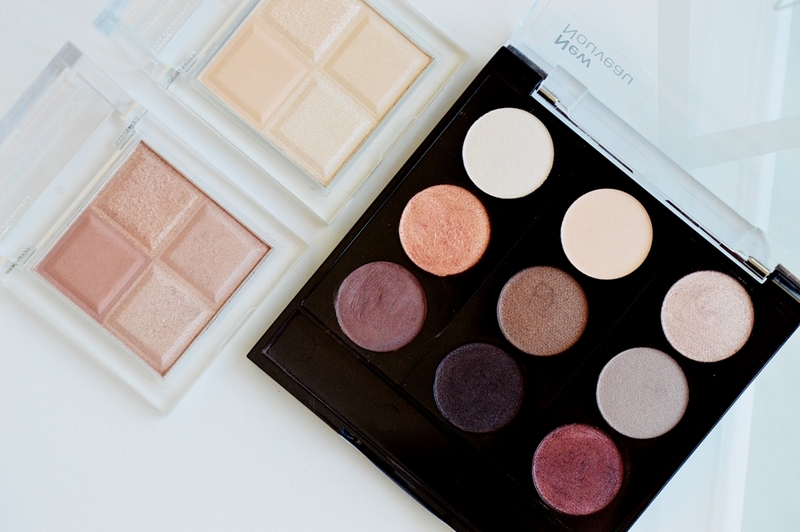 These palettes are so cute though…I love the idea of that quad in the 4 finishes. written via him as no one else realize such special approximately my difficulty.